The story of the Granite Mountain Hotshots crew of 2013, has a sad and tragic ending that all Arizonans still feel in their hearts to this day. Nineteen Hotshots tragically lost their lives when a wildfire unexpectedly shifted direction and headed straight towards their path. In the moments before their untimely death these brave men showed courage and a real brotherhood that touches the hearts of anyone who knows their story. 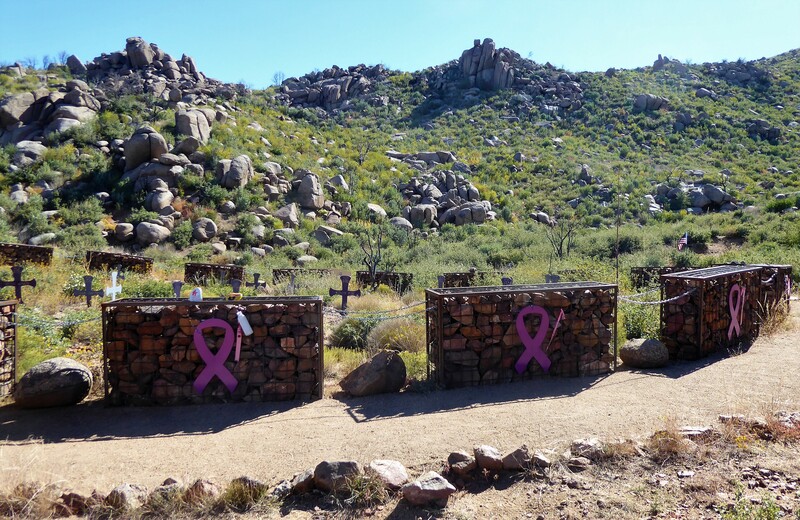 To honor and tell their tale the Granite Mountain Hotshots Memorial State Park was built. 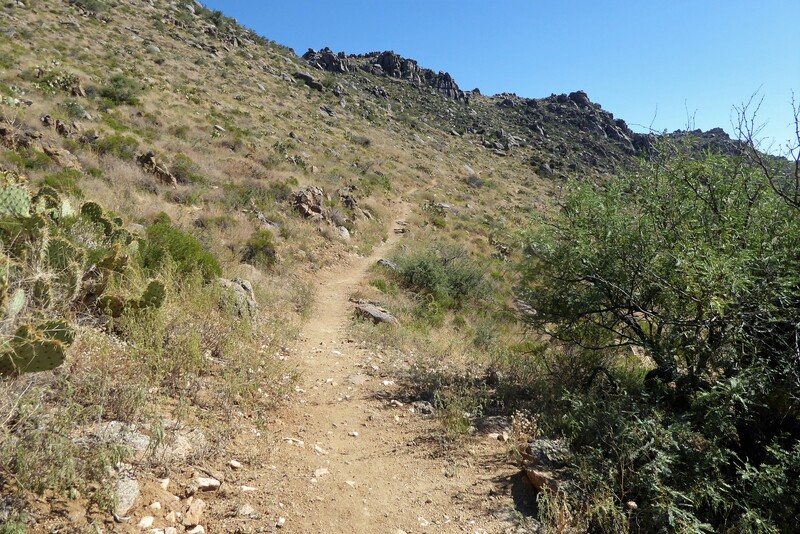 Within the park there are two hiking trails, the Hotshots Trail and the Journey Trail. Along the Hotshots Trail there are 19 plaques along the hike with individual stories, pictures, and information about each of the fallen Hotshots. This trail ends at an observation deck, where you can then take the Journey Trail down to the fatality site. 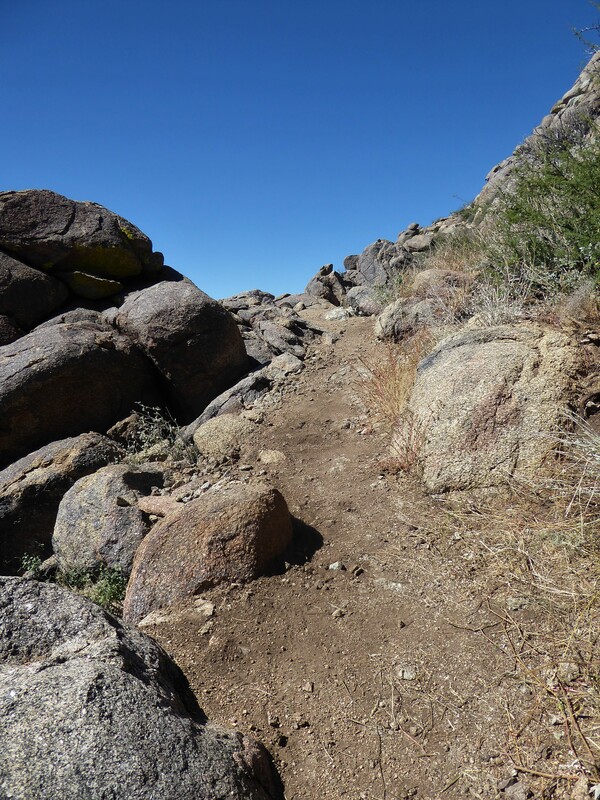 This trail allows you to hike the same path the Hotshots took as their final journey together. The fatality site is encompassed with gabion cages that are linked together and inside are steel crosses at the place where each man was found. These hikes are emotional and leave you with a heavy feeling but you will also come away with appreciation for all wildfire fighters and a new respect for nature itself. 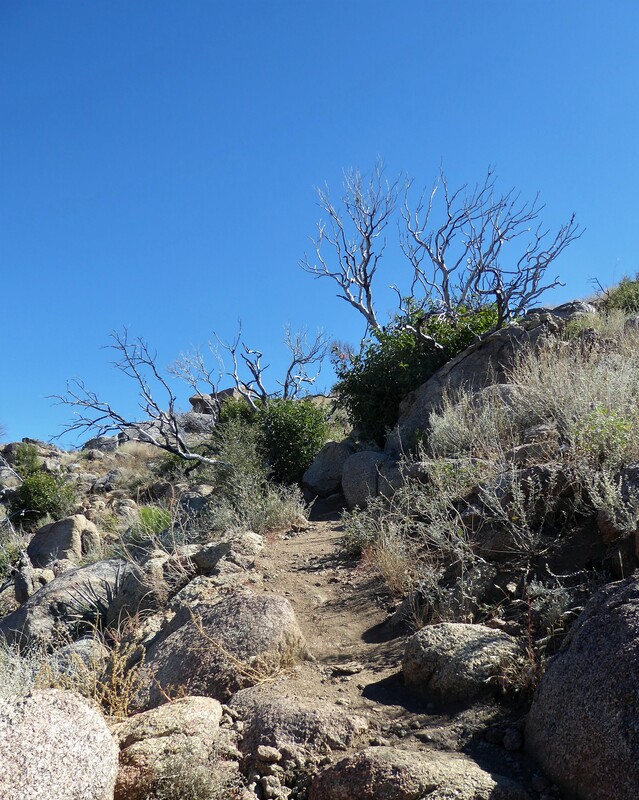 Before describing these hiking trails, I wanted to give you a brief introduction to the Granite Mountain Hotshots final story. Hotshots are a crew of 20 men that are called upon during the wildfire season (April to October). These men go out into the dangerous and rugged terrain carrying around 50 pounds of gear, working as a close nit team to contain and extinguish wildfires. Hotshots travel where needed and this includes anywhere in the nation. The fire that ultimately killed them was the Yarnell Fire. This occurred in the town of Yarnell, Arizona about an hour away from their home base in Prescott, AZ. The fire began on a Friday night, when lightening hit the Weaver Mountain Range. During this time our Hotshots were working, putting out another fire elsewhere. By Saturday morning the Yarnell fire seemed like it could be maintained and again our Hotshots were now working on different fire. The Granite Mountain Hotshots were hoping to have Sunday off. But come Saturday evening, the town of Yarnell and Peeples Valley were watching this fire grow and knew they needed more help. The fire was growing and now only about a mile away from Peeples Valley. The Hotshots received notice to report back to work at 5:30 in the morning. They didn’t know it when they woke up on that fateful Sunday but together they would be bonded in brotherhood for eternity and fight their last fire together. The men went out early in the morning and were assigned to work on the southern side of the fire’s location. One of the Hotshots, Brendan McDonough was assigned to be the lookout and was located further north. He would be the only survivor. Throughout most of the day, the fire was heading North. In the evening, the weather quickly changed and the wind sent the fire backwards towards the South and towards the town of Yarnell. The lookout area would soon be compromised and McDonough was directed to leave his post. He then left to move the Hotshots vehicles, as they were in the path of the fire. It was here in this moment that the Granite Mountain Hotshots were standing in a safe area, and watching the fire grow. They had two options. To keep standing there and watch the fire burn down Yarnell or they can go down towards Yarnell and help a few people save their homes. 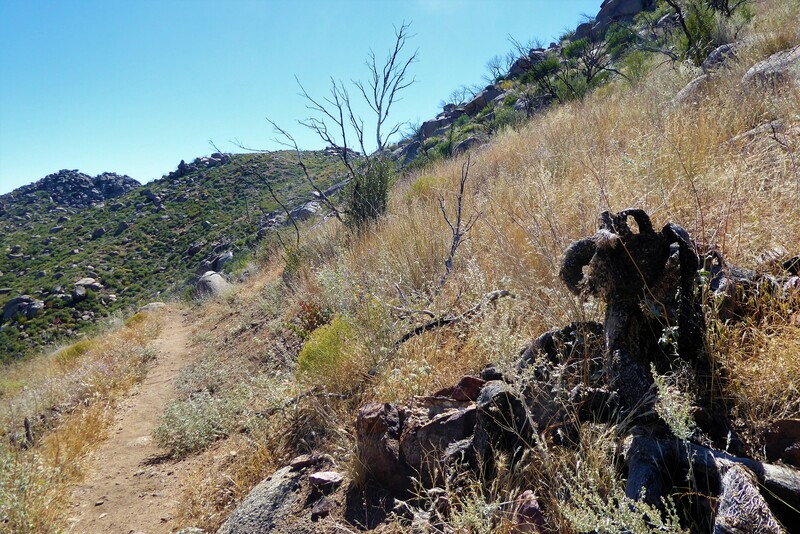 They decided to hike down and head towards Yarnell. Their destination was a ranch, not far away that you will be able to see from the hiking trail. Instead as they made their way down, the fire grew at a faster pace and surrounded the men. They showed strength and remained together deploying their fire shelters. Unfortunately, when the smoke cleared a helicopter spotted this area and shortly after all 19 men were declared dead. Within the Hotshot and Journey hiking trails, these men’s story and spirit will live on for years to come. These trails are beautifully put together and contain the heart and emotion of the human spirit. The Hotshots trail begins in a section of the mountain that didn’t catch on fire that fateful summer night. In the beginning there will be a few switchbacks, getting you up towards the top of the mountain range. The dirt path is a clear and easy to follow as you keep ascending. The view is impressive along this entire trail that it’s hard to imagine that such a destructive event took place among this quiet, peaceful mountain range. In less than a quarter of a mile you’ll come across a rock that has a plaque on it. On this plaque you will see a picture of Eric Marsh, the Hotshot’s supervisor with stories about his passion for the outdoors. Along this route there will be a total of 19 plaques, one for each Hotshot that perished that day. This allows you to learn more about the individual man and gives you a face to match with the name. 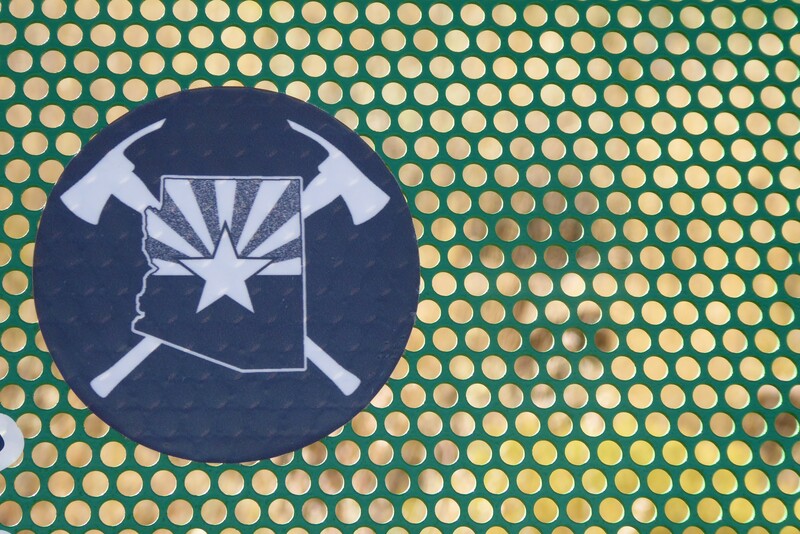 Each heroic Hotshot has a plaque along the trail, allowing you to learn more about them. As the trail curves around towards the inner part of the mountain you start seeing evidence of the fire. Empty tree branches, stretch out towards the sky. 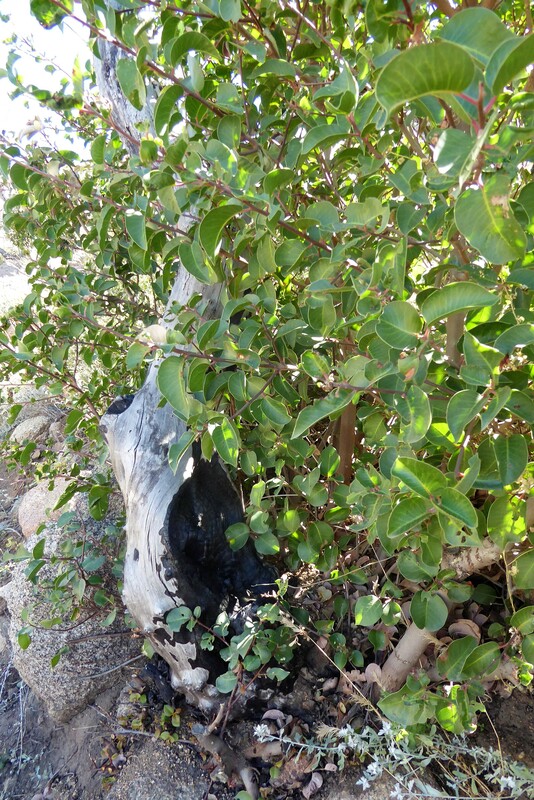 Burn marks can be found on tree trunks. And if you look close enough you may find some burnt tree stumps that are still rooted in the ground. What is more overwhelming though, is the signs of new life. There are lush green leaves growing and almost growing over these burnt areas. 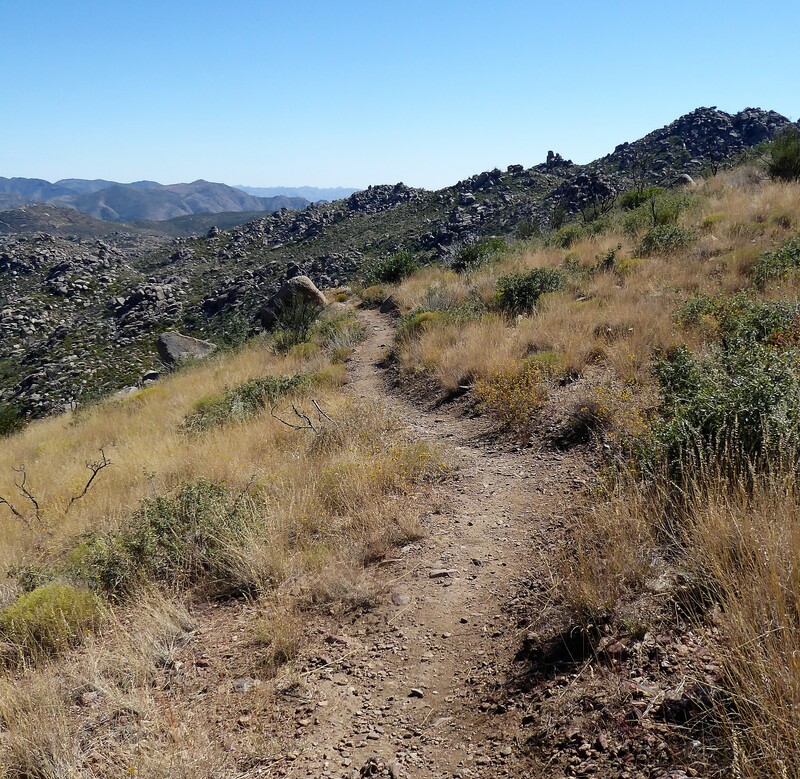 You’ll see wildflowers along the trail with butterflies fluttering and lizards zipping around your feet. From these ashes new life grew and you get a feeling of hope. The trail will gradually incline as it moves along but is not strenuous. Benches are in some areas for those who may need some breaks. 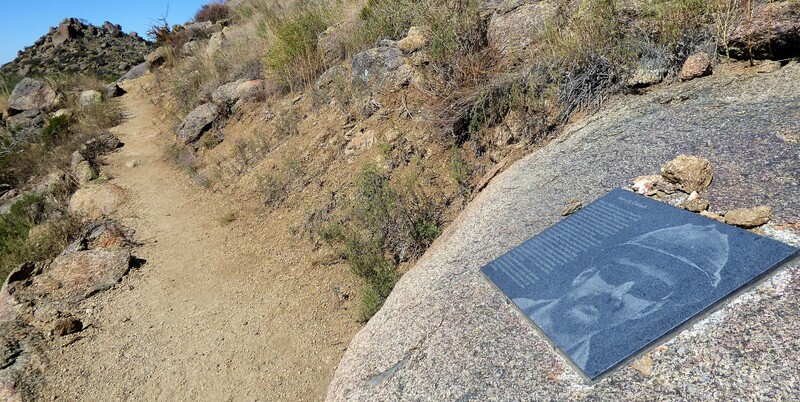 As you pass by the 19th Hotshot plaque you begin to walk along a ridgeline when the trails energy changes. The lush green vegetation becomes vague and tall yellow brush and burnt prickly pear cactus’s start to appear. You are now heading towards the observation deck that overlooks the fatality site. When you look down below you can see the memorial built around the causality site and the ranch the Hotshots were heading for. At the observation deck, there is a shaded bench to sit on and more information about the Hotshots and what happened that day. 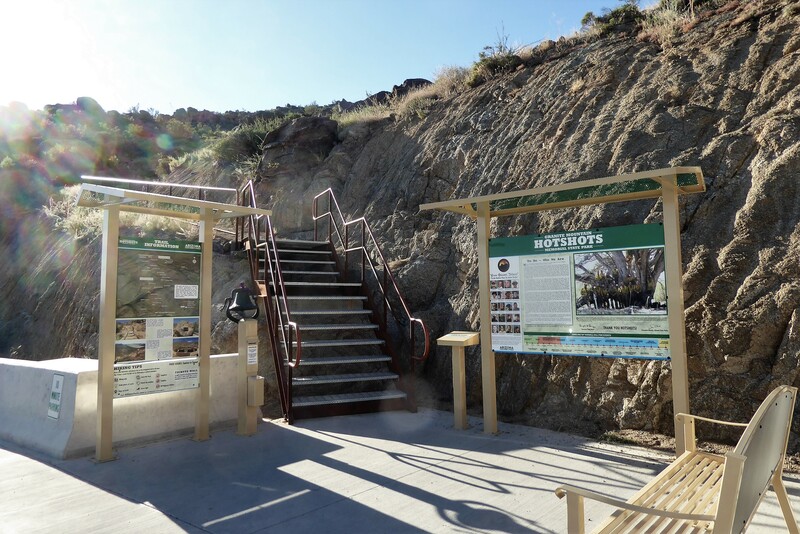 It’s here that you can then continue to hike down to the actual fatality site 400 feet below you by taking the Journey Trail. The Journey Trail is named this because this was the final journey the Hotshots took together. 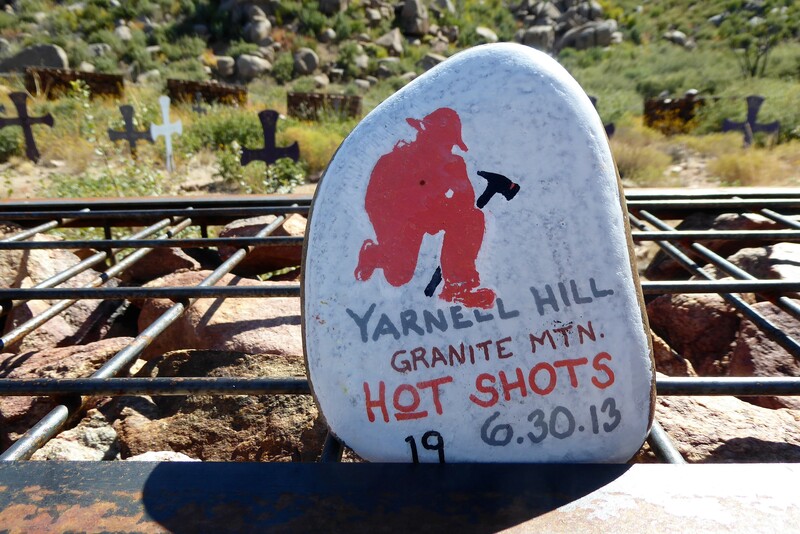 You will be hiking on the actual path the Hotshots hiked when they were trying to save Yarnell from the wildfire. As you begin walking down the switchbacks the faces, names and stories you’ve just read about the 19 men flash in your head. All the while the fatality site will remain in your view as a haunting reminder that these men were walking to their final resting place. 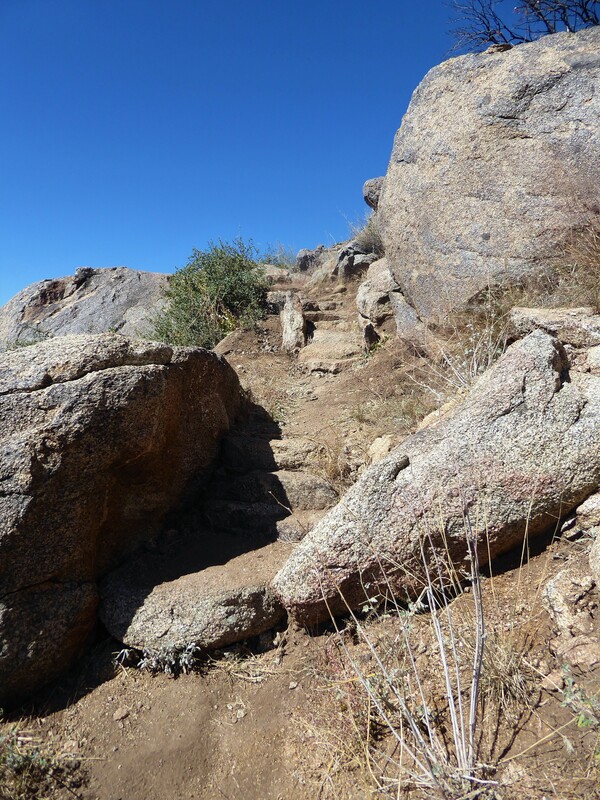 This trail is steeper than the Hotshots Trail and therefore a little more challenging. The path is still clear and easy to follow, with nothing technical in the way, but it steep as you are descending 400 feet in less than a mile. As you reach the bottom and approach the fatality site you notice a lot more details that you couldn’t see above from the observation deck. 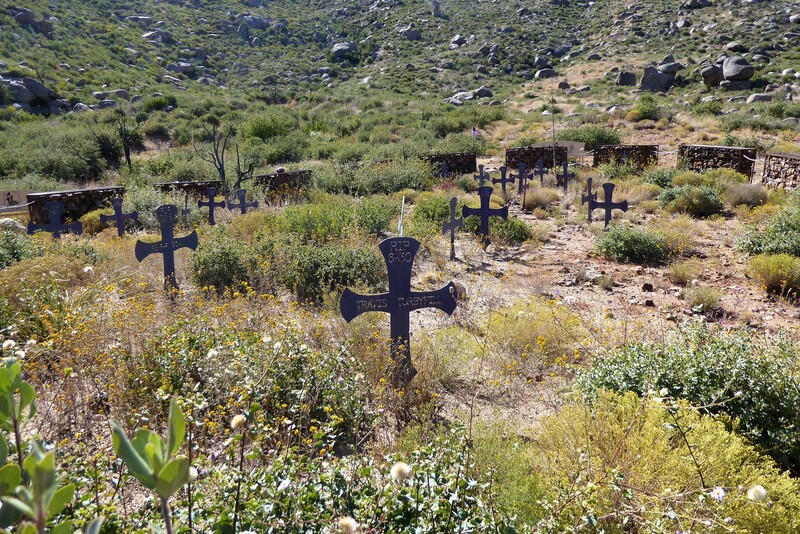 You’ll see that there are steel crosses with each men’s name across the top, placed in the spot where they were found. There are rock boxes linked together outlining this area. To respect the families of the fallen, you are asked not to walk pass the gabion cages, but you are able to leave momentums for the Hotshots. 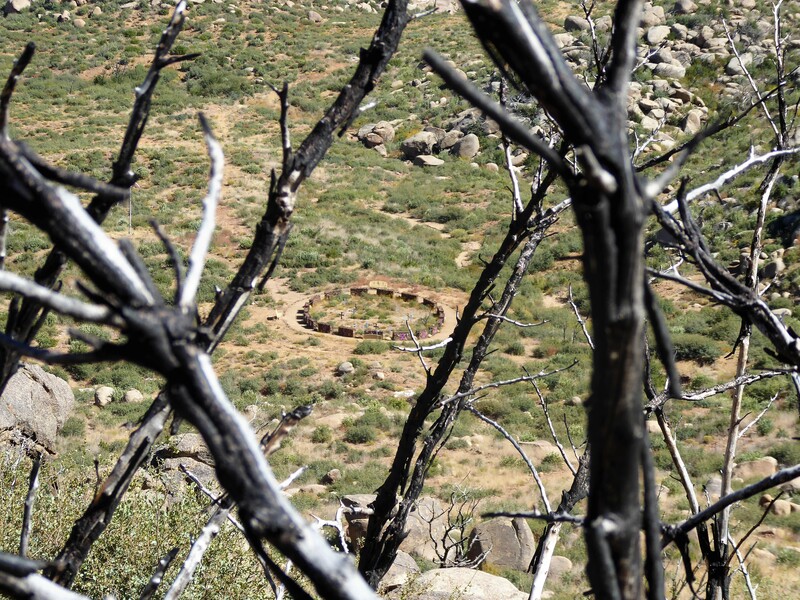 Hikers have left numerous momentums, such as an American flag, patches, painted rocks and other special items to show their respect for the Hotshots. While this area is the site where tragedy and destruction occurred, you are still able to feel the love from all those who pay their respects to the brotherhood of these 19 brave fallen heroes.